Whether it be a day on the slopes or a night on the town, the Roxy Vermont Mittens will keep you toasty and dry. These mittens are made with 130g of insulation, so they're super warm. A soft brushed tricot knit lining ensures comfort and a pre-shaped fit, stretchy cuff, elastic leash, and nose and goggle thumb wipe panel, make sure you're having a blast. 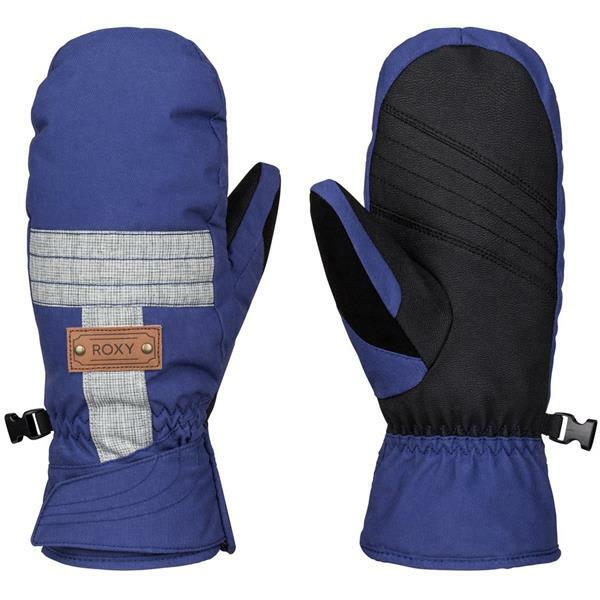 In the Roxy Vermont Mitten, you'll stay stylish, warm, and cozy the next time you're out in the snow. Kept my hands warm and dry. Easy put on and off.